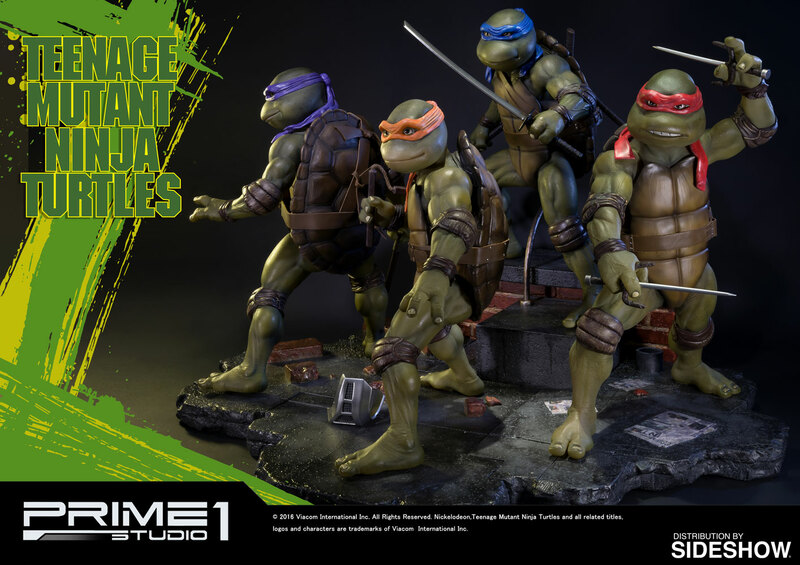 Sideshow and Prime 1 Studio are proud to present the Set of 4 Teenage Mutant Ninja Turtles Polystone Statues from Teenage Mutant Ninja Turtles (1990). 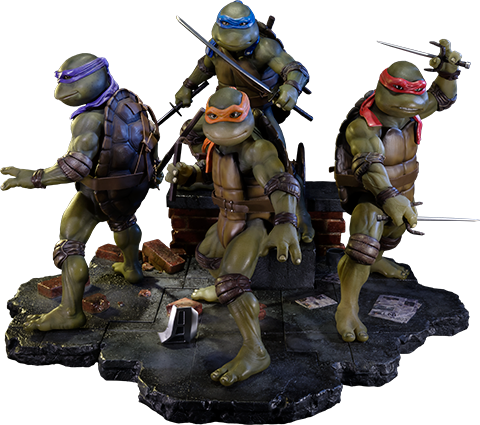 Wearing their iconic colored bandanas with their unique weapons, the turtles are ready to take on any enemy. 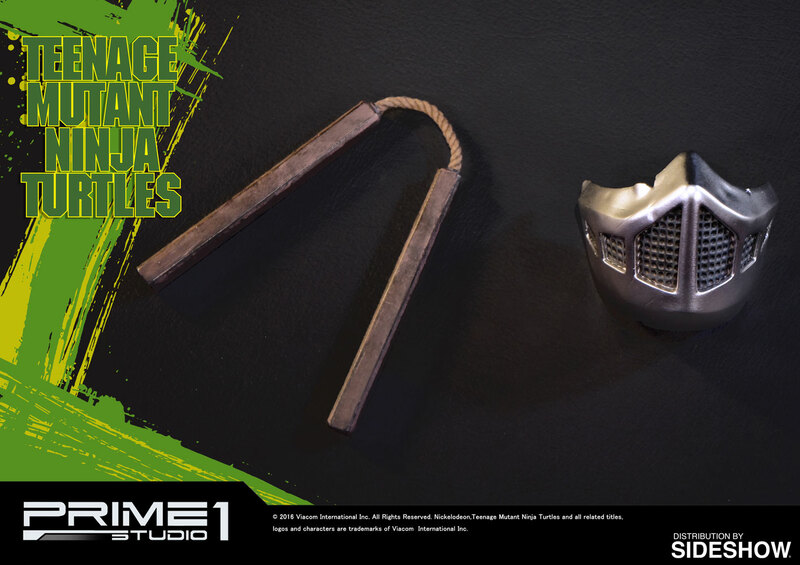 The set features rooftop themed bases that can be displayed together and an exclusive mask and nunchuck accessories. 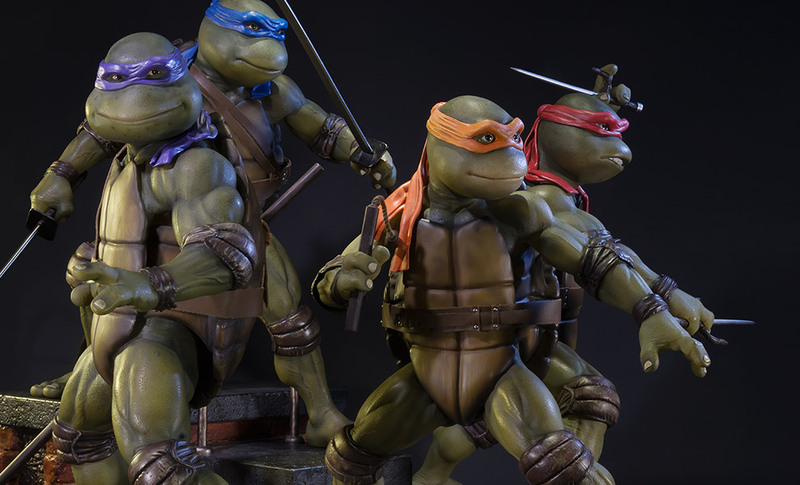 The statues use a high-quality translucent resin for a lifelike skin effect. 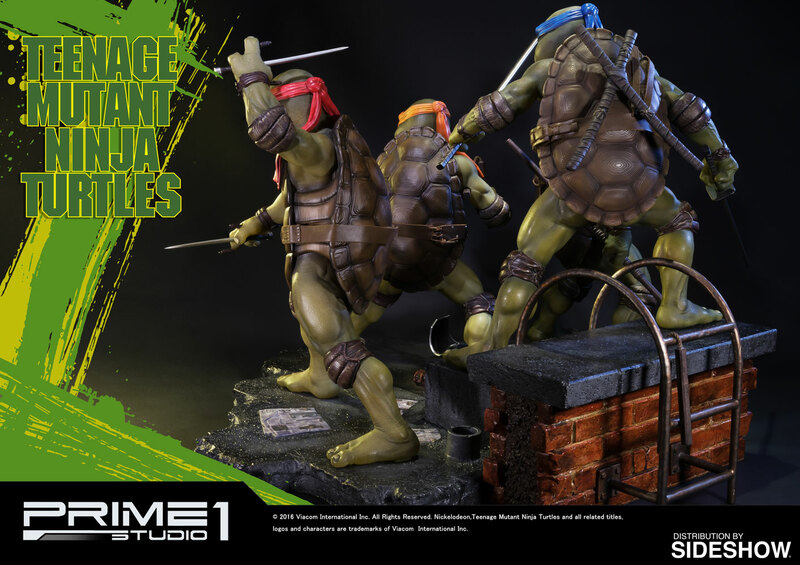 Each turtle is also available to be purchased separately! 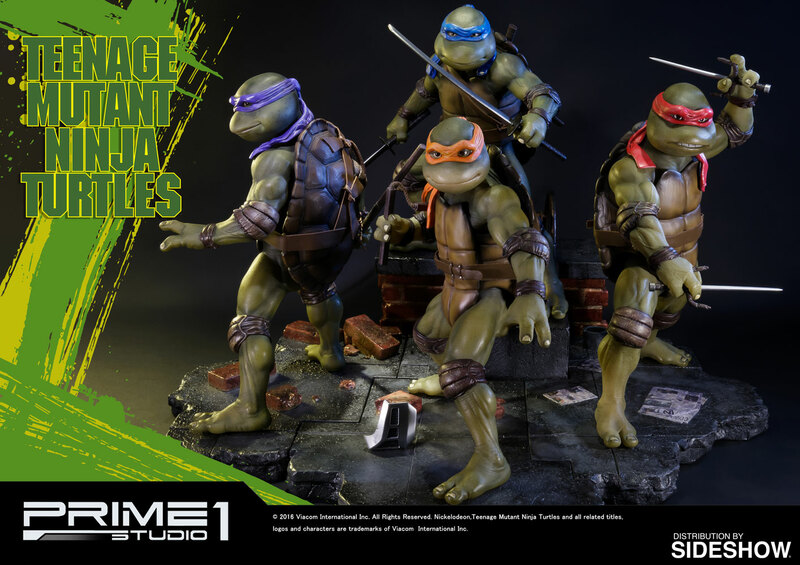 TMNT fans, don't miss your chance to add the Leonardo, Donatello, Raphael and Michelangelo to your collection! 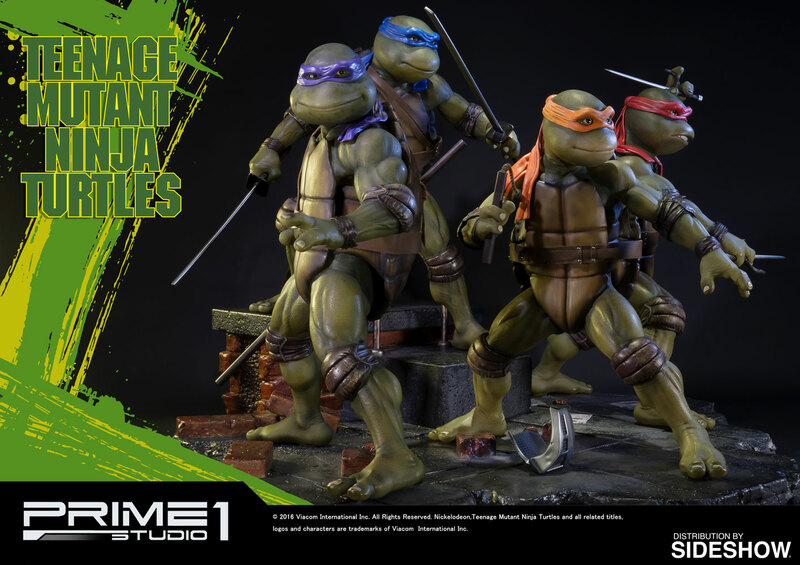 (c) 2016 Viacom International Inc. All Rights Reserved. 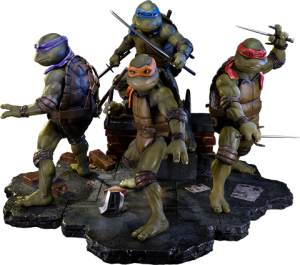 Nickelodeon, Teenage Mutant Ninja Turtles and all related titles, logos and characters are trademarks of Viacom International Inc.